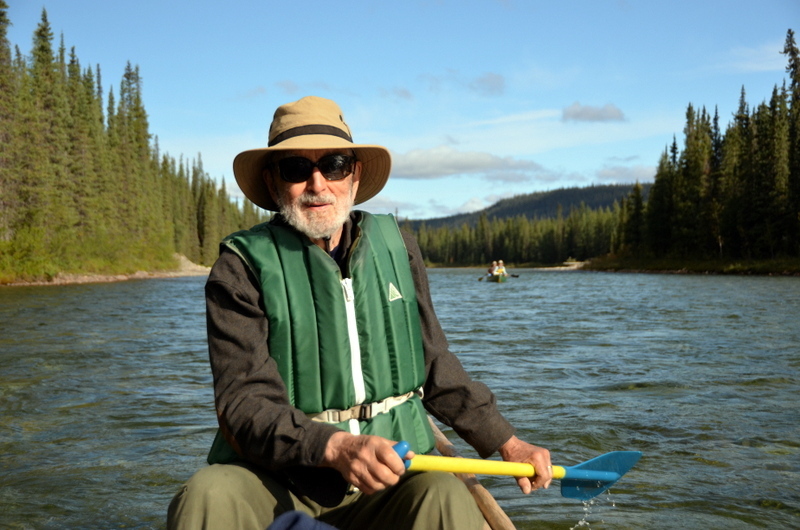 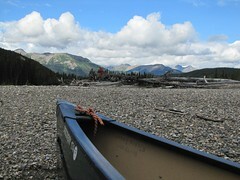 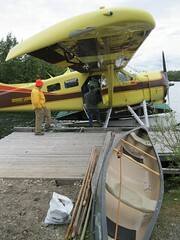 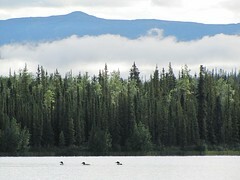 The Liard River canoe trip begins in Caribou Lake, a high mountain lake nestled between the Cassiar and Pelly Mountains. 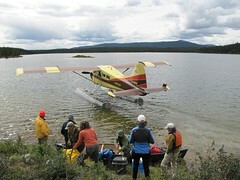 The outlet of Caribou Lake is a small stream, just wide enough in places to get a canoe through. 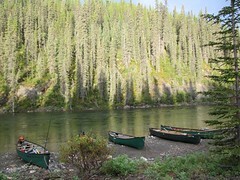 Once in the river proper, it widens and braids, creating a shallow, easy, clearwater river in which we will paddle, pole, and fish for ten days. 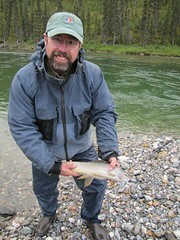 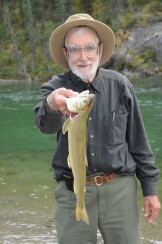 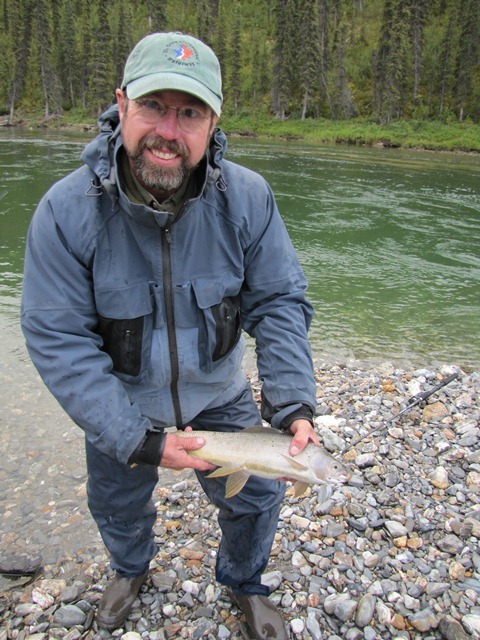 The fishing is excellent; you can float over pools and see the Arctic grayling and bull trout just waiting for some food to come floating by. 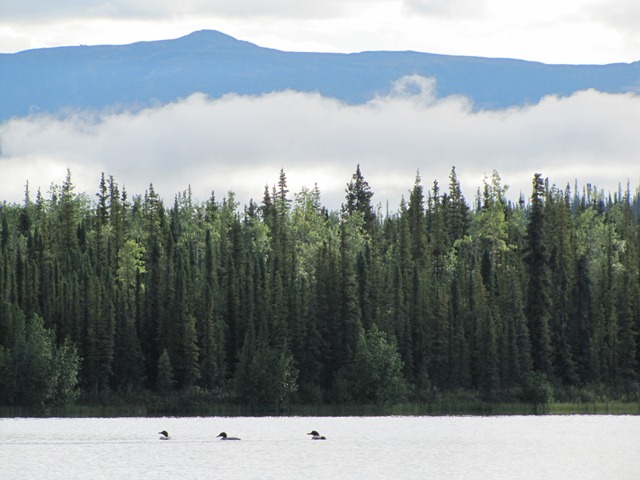 The early European explorers entered this vast wilderness roughly 160 years ago. 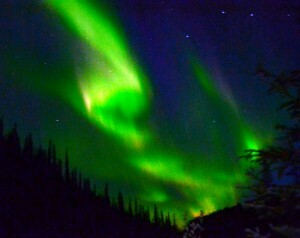 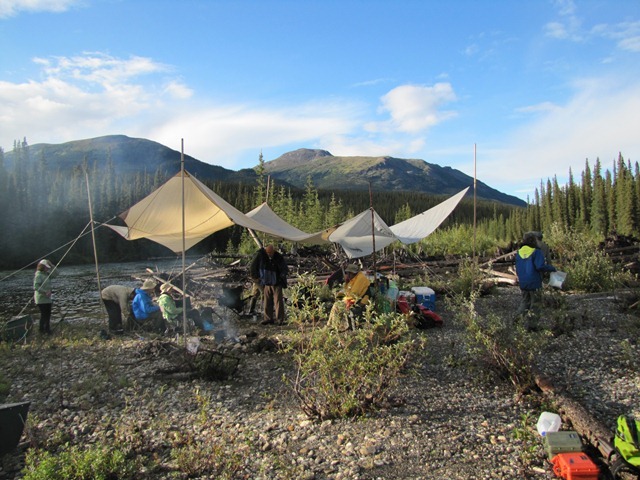 Gold was discovered here about 125 years ago, even before the famous Klondike Gold Rush. 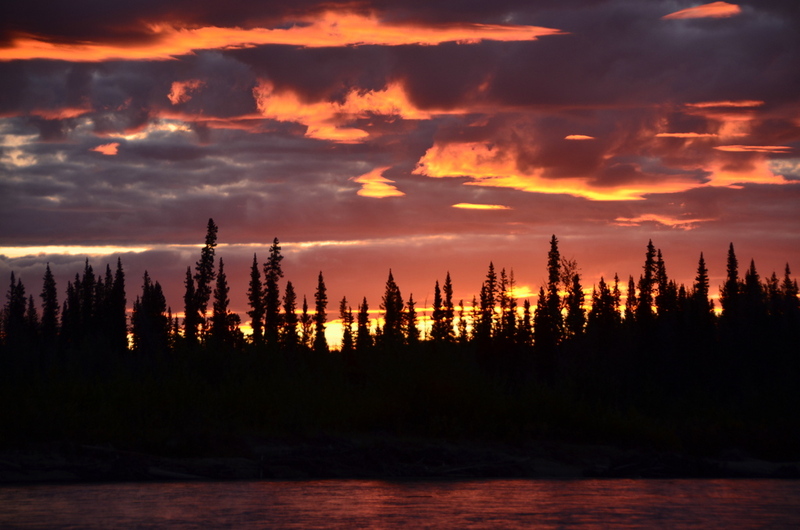 This is the “Land of the Midnight Sun” and we have planned this trip in late August to have some darkness – obviously better for sleeping, but also to have a chance to view the Northern Lights. 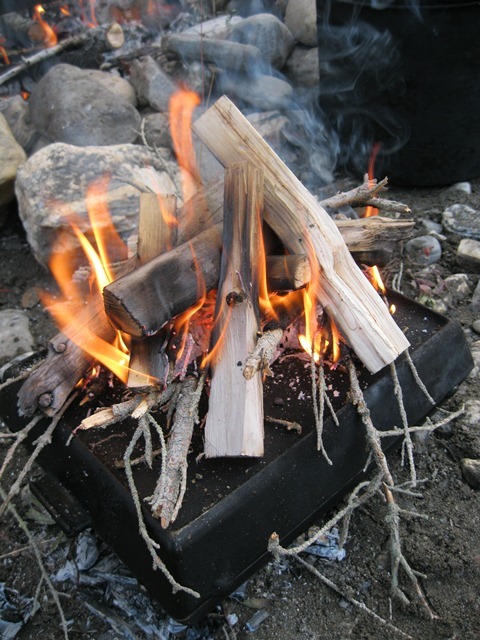 We will even hear from Robert Service around the campfire to get into the mood of the old sourdoughs. 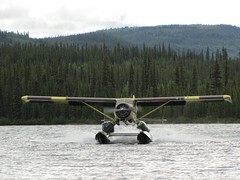 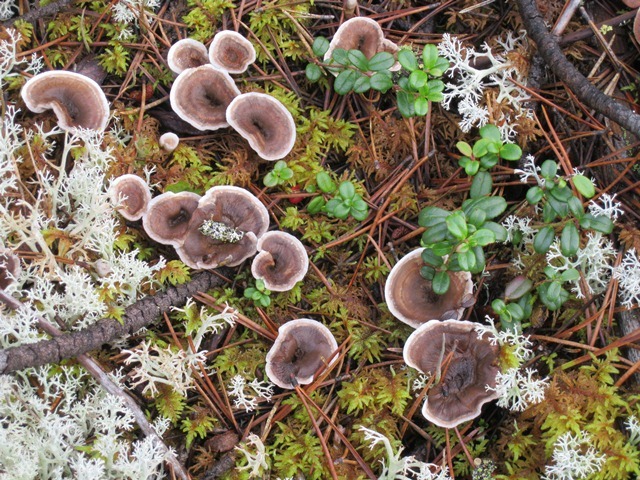 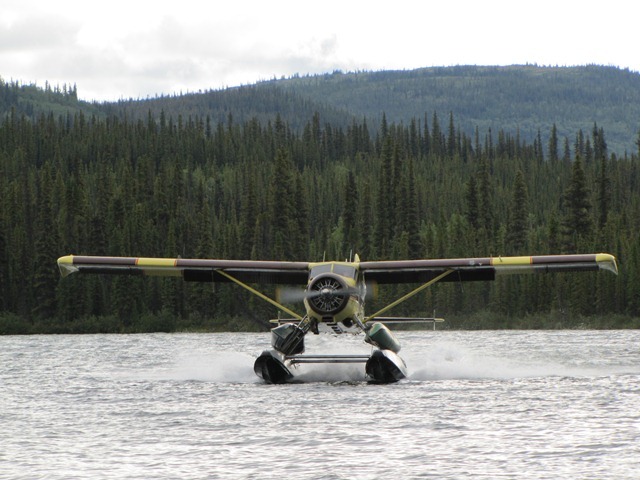 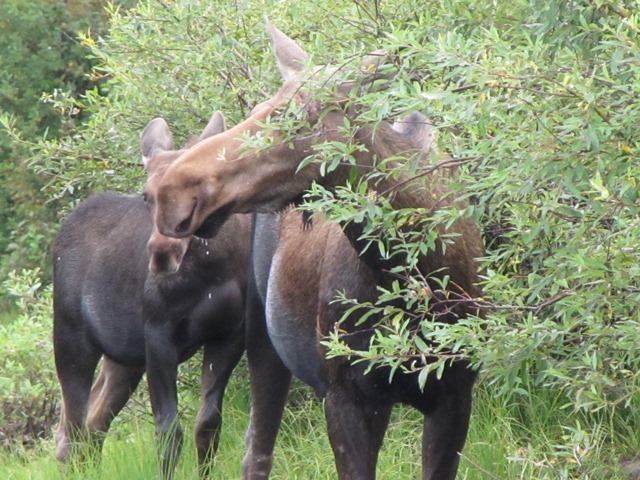 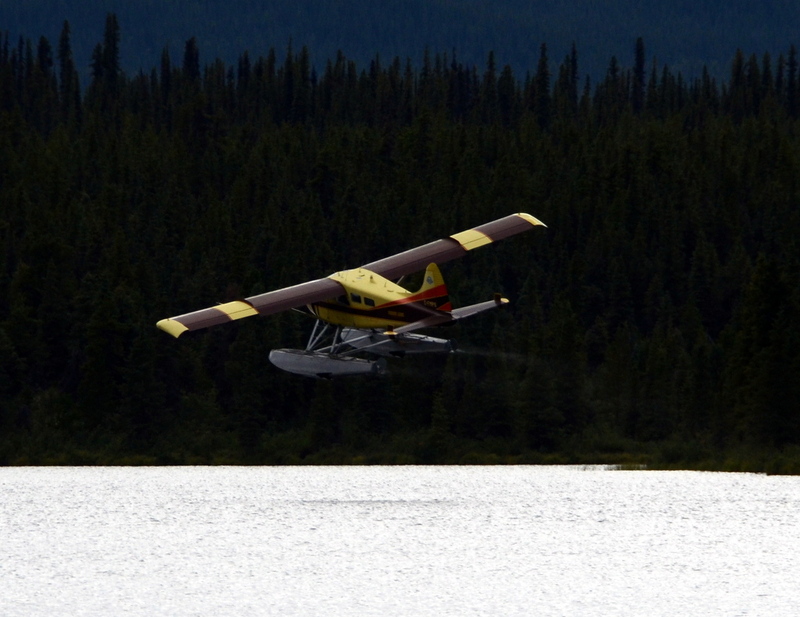 On Day 1 we will drive to the floatplane base and fly to one of the prettiest campsites anywhere – right on Caribou Lake and covered with spruce and reindeer moss. 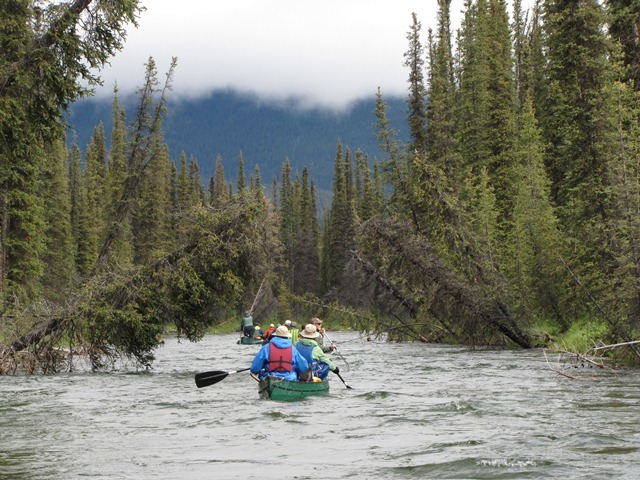 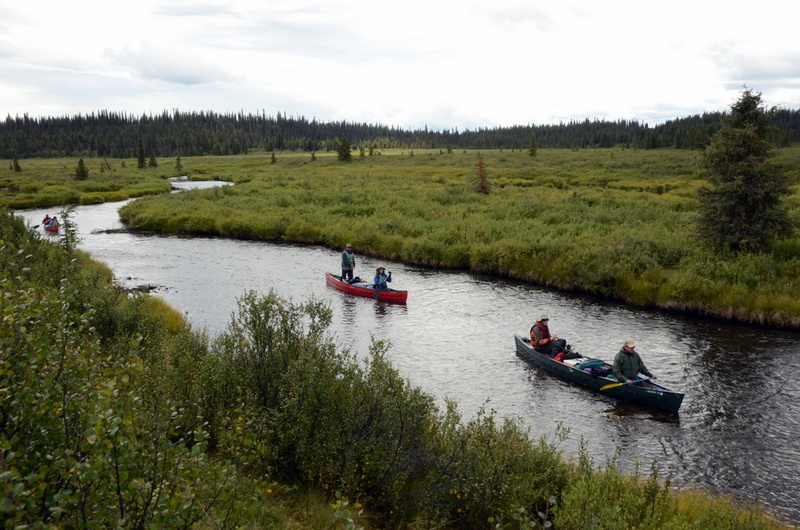 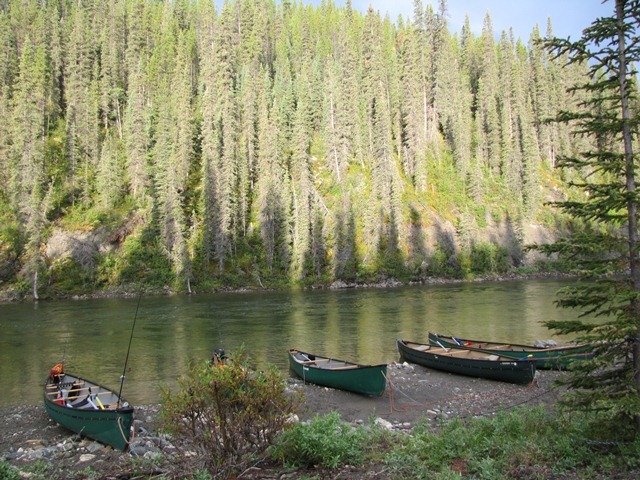 In the morning we will paddle and pole our way down twisty little Caribou Stream, joining up with Liard River at the end of the day. 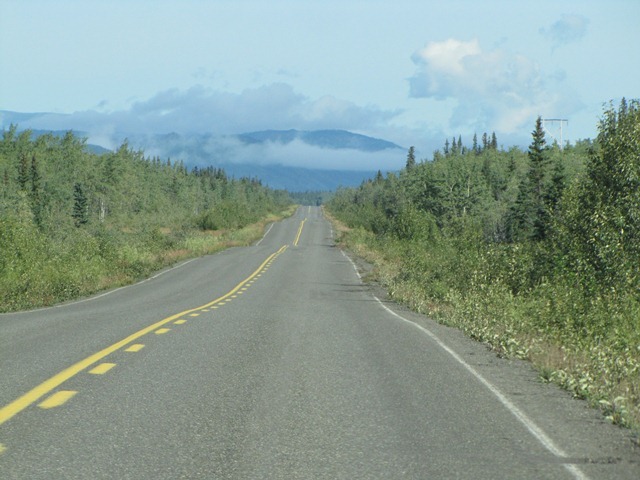 The next nine days will cover 125 miles to the take-out point at Liard Crossing on the Alaska Highway where our van will take us back to Whitehorse. 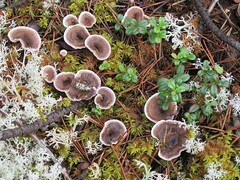 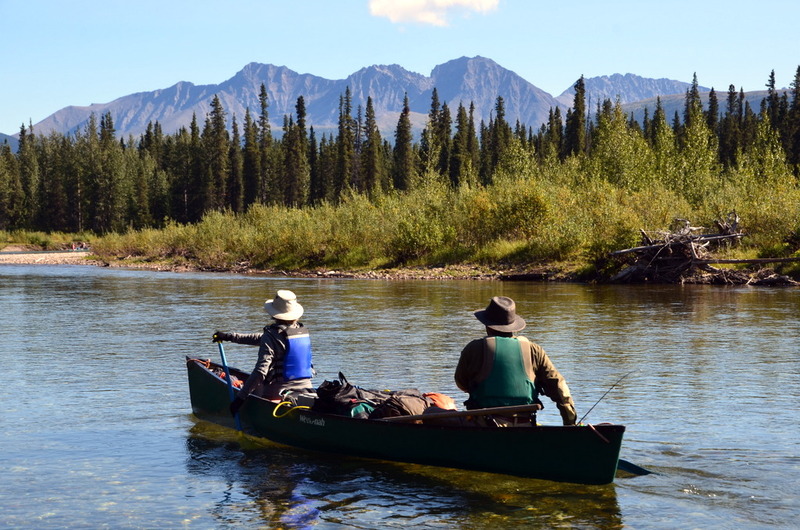 In August the weather should be warm and relatively dry (the Yukon only receives 13 inches of rain annually). It’s like an Arctic desert, but surrounded by mountains covered with spruce, willow, birch and aspen. Nevertheless, the seasoned paddler must be prepared for every type of weather. 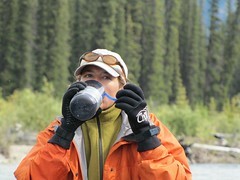 Gear required ranges from good raingear, ski hat and gloves, to T-shirts and sunscreen. 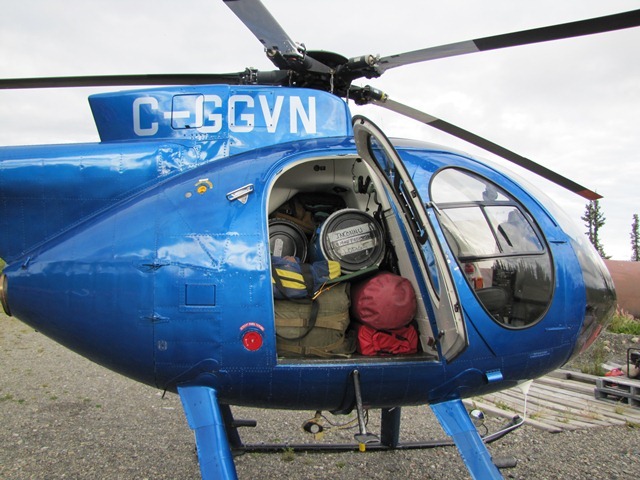 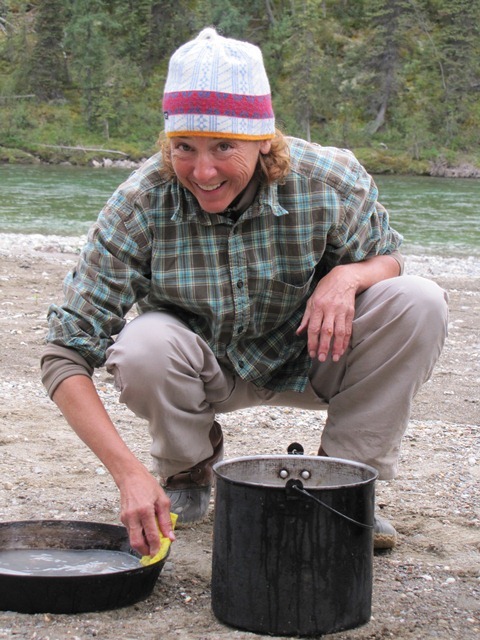 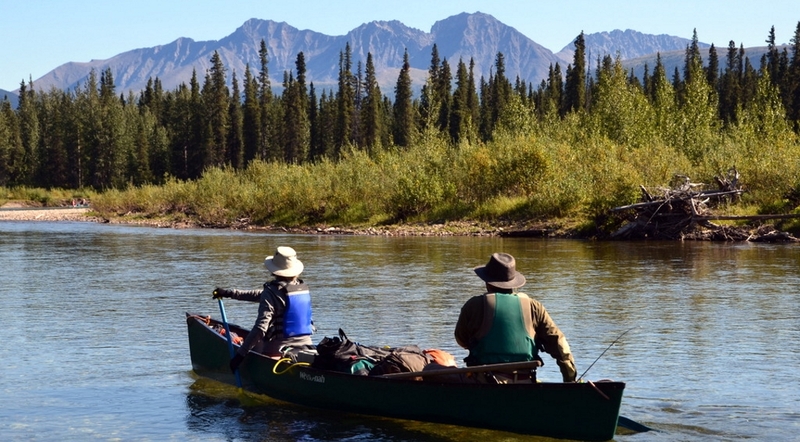 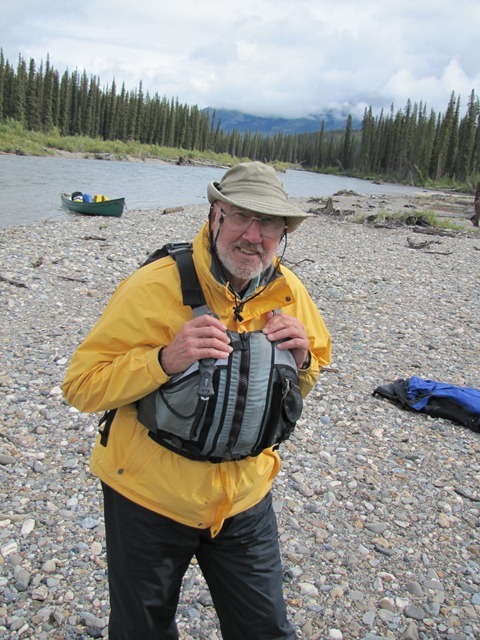 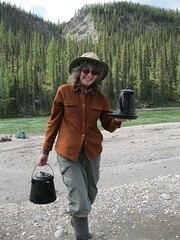 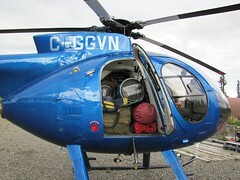 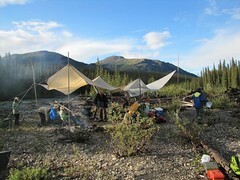 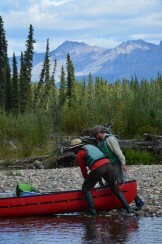 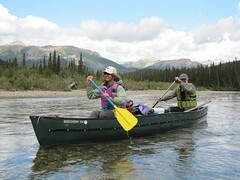 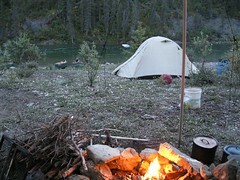 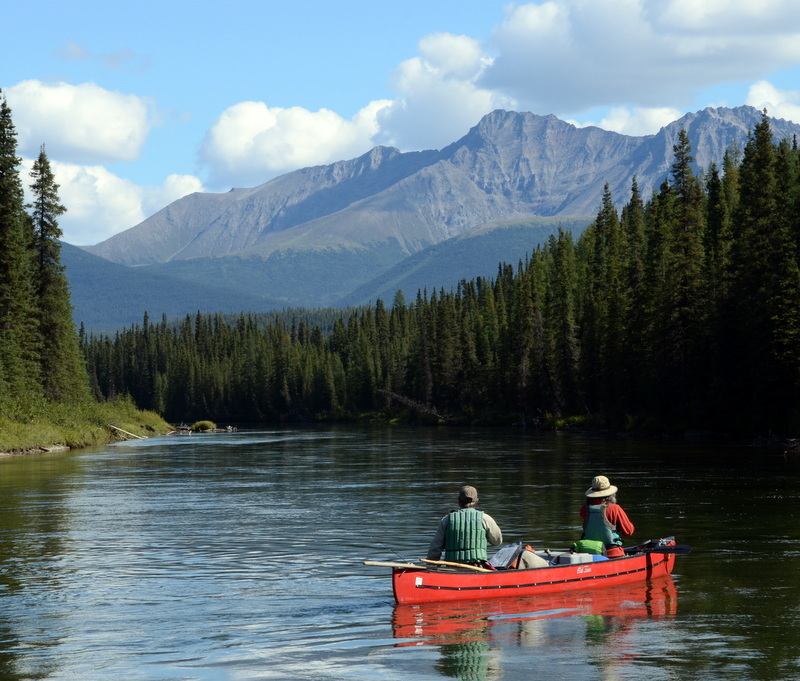 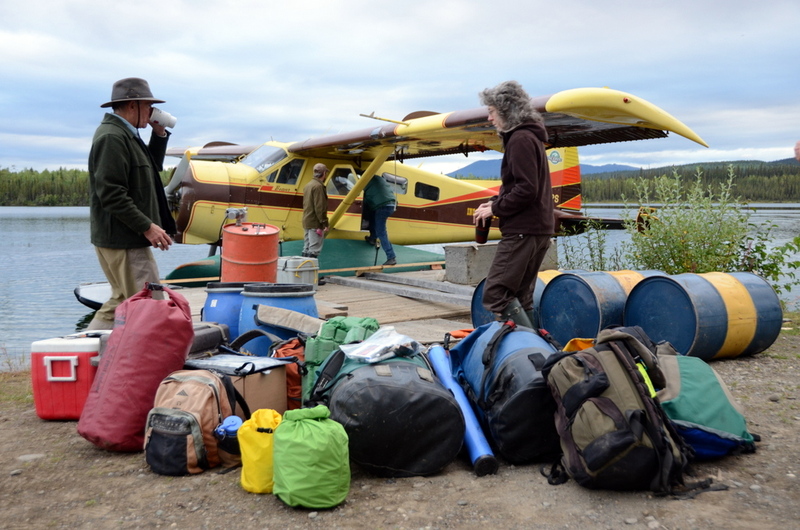 For Yukon trips, participants provide their own tents, sleeping pads and river bags.